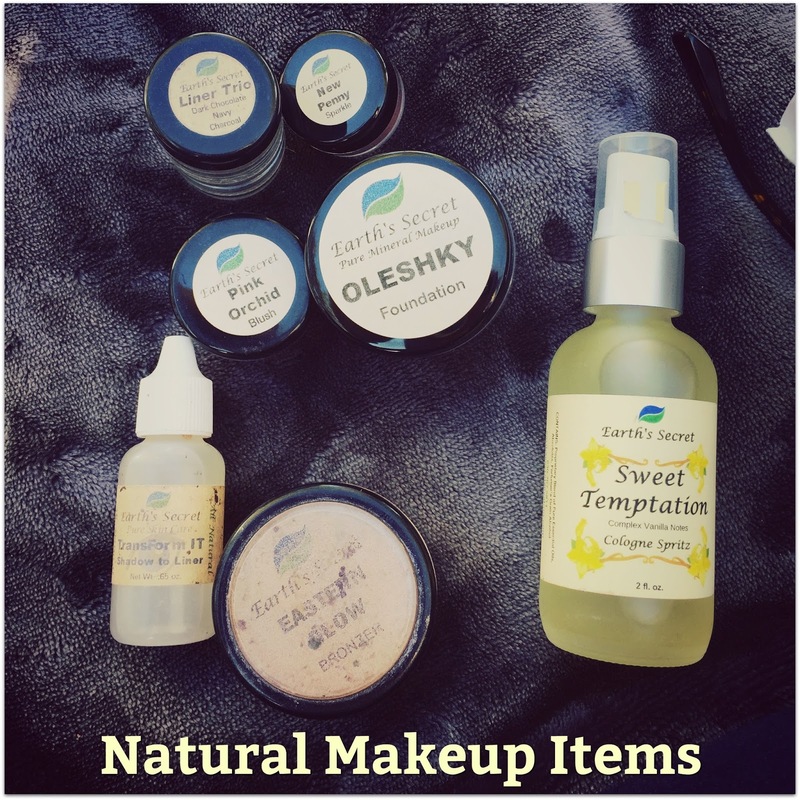 I've been slowly removing a few items from my makeup routine and replacing them with natural products. I have natural bronzer called the Eastern Glow, Mineral Powder Foundation called Olehsky, mineral blush called Pink Orchid, mineral eyeshadow called New Penny and a liner trio. I don't always use the eyeliner because it involves using a brush and dipping it into the Transform it (pictured on the bottom left) liquid and then dipping that brush into the liner powder and lining my eyes. I usually use an Endless Silky Eye Pen from Pixi by Petra. They're only $12! Most mornings, I just want to use the eye pencil. I'm always using the foundation, bronzer and blush. I love that it's natural without lead, talc or dimethcone. All of the makeup and perfume pictured above is from Earth's Secrets. The perfume or cologne spritz is also all natural. I love the way it smells. Vanilla scented perfume is a favorite of mine. I love being able to have most of my makeup be natural. A couple of things I'm still using that aren't natural? CoverGirl Smoothers Concealer (under eye cream) and Maybelline Super Stay 24 Hour lip color. What natural products are you using lately?